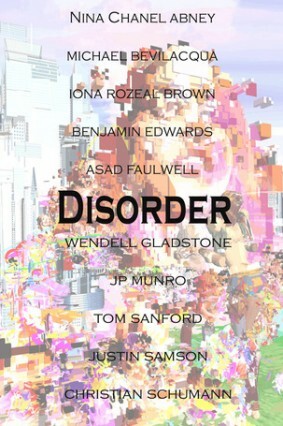 I will have a new piece in "Disorder" at Kravets/Wehby in New York. Surrounded by an excess of visual stimulation it often becomes difficult to focus. When faced with such an abundance of spectacular color and energy, one can do nothing more then succumb to the sensory overload. Finding ourselves in the presence of an abundance of exciting things, we could not help ourselves and slowly the collection of visible disorder emerged. Nina Chanel Abney’s mix of portraiture and narrative painting deals with controversial issues by inserting characters based on real people into imaginative worlds. Luminous silver works, painted with metallic lacquer byMichael Bevilacqua are musically influenced and adorned with lyrical text. 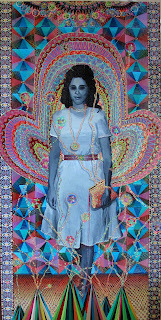 The geisha subject matter in the work of Iona Rozeal Brown also touches on global influence of African American culture, illustrated by bold shape and imagery. The fractured landscapes created by Benjamin Edwards are visionary. Frenzied clusters of color shift into a woman’s face emerging from a dense cityscape. 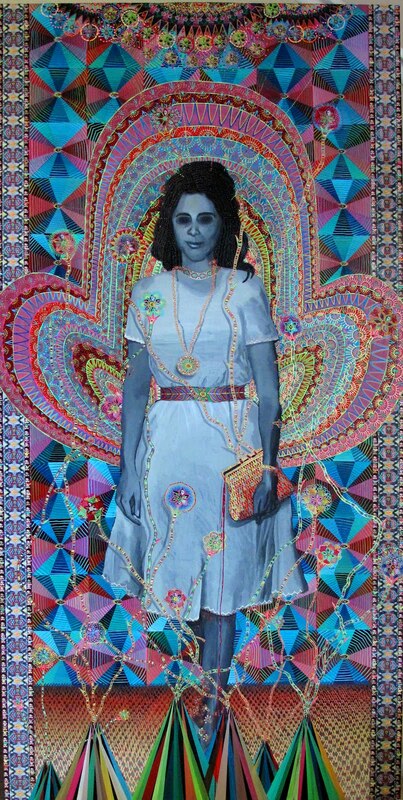 The seductive quality is mirrored in the work of Asad Faulwell, whose historically based portraits are saturated with bold color and mesmerizing detail. Wendell Gladstone’s quiet portrait weaves together the elements of the piece in a beautiful and focused way while the epic battle in a painting by JP Munro embodies opulence and elegant ritual. Justin Samson continues his exploration with fake fur, vibrant color and universal communication, blurring the lines between time and space. Tom Sanfordacknowledges a passing in time with a serene homage to Steve Jobs, speaking on his ambivalence about American culture. The dense visual flow in the work of Christian Schumann merges organic elements with technological forms. With no restraint from the artists, the calculated chaos is guaranteed to send the mind spinning with creative stimulation.